Amazon is a corporate giant that provides products and services in almost every industry imaginable. 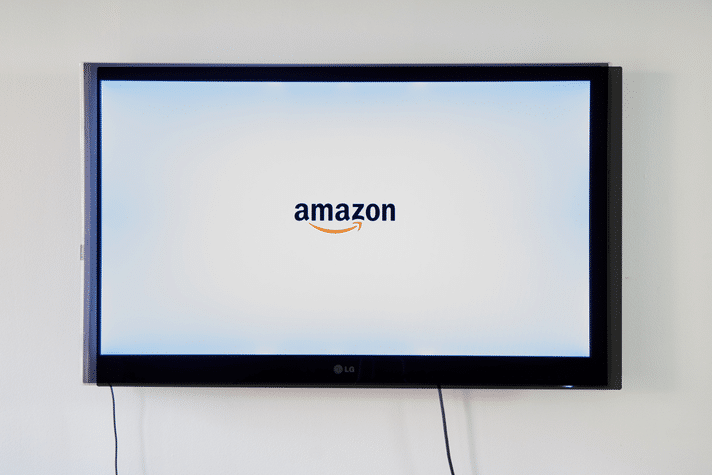 Given Amazon’s content services, it makes sense that it is a player in streaming media markets as well. Its answer to other media streamers, such as smart TVs and Roku devices, is the Amazon Fire TV box. Geo restrictionsFirstly, many US-based multimedia streaming services are bound by strict and complex regulations, which determine where it’s legal to do business. Cultural and Religious BlocksSome content is blocked for cultural and religious motives. For instance, many countries that are predominantly populated by people of the Islamic faith choose to block content that contains gambling. What’s the solution, you ask? Simple! Just use a Virtual Private Network (VPN). A VPN will mask your Internet Protocol (IP) address with one from the US. Using a US IP address will hoodwink Amazon Fire TV channels into allowing you to access otherwise restricted content (as well as inaccessible websites) as if you were in the US. The Amazon Fire TV software lacks the ability to connect to a VPN or Smart Domain Name System (DNS) on its own. As such, you’re probably wondering how the heck you’re supposed to unblock content by using a VPN tunnel? Well, the easiest way to do this is by connecting Amazon fire TV to a VPN router. Instead of connecting your laptop or mobile device to a VPN server, you set up a connection between the VPN server and your router. As long as your Amazon Fire TV box is connected to the VPN router, it will be able to access blocked channels. Furthermore, every other device that connects to the router will also be able to use the VPN tunnel. This gives you the peace of mind of knowing that your data is secure. It allows an unlimited number of users to access blocked content hosted in the US, too. It’s worth noting that most VPN service providers restrict accounts to a finite number of simultaneous connections (usually between two and six concurrent connections). Nevertheless, when you connect your router to the VPN server, it counts as only one connection, even though any device that connects to the router via WiFi or Ethernet can use the tunnel. The specific procedure used to connect your router to a VPN server depends on many factors, including the model of wireless router you’re using, which VPN service and protocol you selected, and what type of firmware your router is running. Unfortunately, many entry-level wireless routers don’t have firmware designed to terminate VPN connections – even though the hardware is powerful enough to do so. If you discover that your current router doesn’t have the ability to connect to a VPN server, don’t worry. There are plenty of solutions, alternatives, and workarounds to help you unblock channels on Amazon Fire TV from outside the US. My Router Can’t Connect to a VPN Tunnel? The first thing I would do is visit the manufacturer’s website and look for an online manual or documentation describing the capabilities and features of your router’s firmware. If it turns out that your router doesn’t support VPN functionality, it’s time to move on to plan B: upgrading the firmware on your router to DD-WRT or Tomato. DD-WRT and Tomato routers are open source firmware codes that are jam packed with features not commonly found in original equipment manufacturer (OEM) firmware. And the best part? They’re completely free to download and use! Third party firmware isn’t perfect, because it doesn’t support every router make and model under the sun. That said, both Tomato and DD-WRT do a fantastic job of supporting all the latest, greatest, and popular router models. If you purchased a mainstream wireless router, chances are you’re covered. If you’re curious about upgrading your router using third party firmware, the first thing to do is check the DD-WRT supported routers list or the Tomato supported routers list. Personally, I prefer DD-WRT, but you may not have a choice, dependent upon whether or not your router is supported. If you determine that your router is not supported by DD-WRT and Tomato firmware, or you simply feel intimidated by the upgrade procedure, there is another great alternative. It’s possible to buy a new wireless router that has already been pre-installed with third-party firmware. Hardware manufacturers won’t typically install DD-WRT or Tomato firmware for you, but there are plenty of options on FlashRouters. It does cost a little bit more for a FlashRouters tech to install firmware (approximately $50), but it is an effective and affordable option for users who have trepidations about performing a router upgrade. Check your router manufacturer’s website for documentation describing your specific model’s VPN features. If your router lacks the ability to connect to a VPN, check the DD-WRT and Tomato supported router lists to see if your router model qualifies for an upgrade. Upgrade the firmware on your own, or alternatively purchase a router with pre-installed DD-WRT/Tomato firmware from FlashRouters. What If I Don’t Want All of My Internet Traffic to Use the VPN? So you’ve got your router connected to a US-based VPN server, channels are unblocked for your Amazon Fire TV, and life is great. There’s nothing else to do but kick back, pop some popcorn and relax, right? Well, maybe not. You may find that your current network configuration needs a bit more fine-tuning. The largest problem is that, without any additional configuration, all of your network traffic is first going to be routed to the United States before being sent on to the appropriate destination. This may or may not be desirable, depending on the types of traffic you’re transmitting and where web resources are physically hosted. For example, let’s pretend that I’m on vacation in the UK, and I connected my router to a US-based VPN server for the sake of unblocking Amazon Fire TV channels. I want to make sure that only my Amazon Fire TV box uses the VPN connection, so that I can also stream BBC iPlayer content to my computer. Since BBC iPlayer is only accessible in the UK, I wouldn’t be able to access it if the whole network utilized the connection to the US. Which method is most ideal? That depends a whole lot on what your goals are, what kind of network resources you use, where you are located, and what type of traffic you wish to exclude from the tunnel. Chances are you’ll need to configure multiple rules, using several types of routing policies, to get things just how you want them. Suffice it to say that it is possible to granularly select which data you want to send through the US-based VPN tunnel (such as your Amazon Fire TV traffic) from other data that shouldn’t be encrypted. Most consumer grade routers don’t support native VPN functionality, so it’s likely that you’ll need to upgrade the firmware on your router. I highly recommend DD-WRT or Tomato firmware, and these two firmware versions support most popular router models. It may sound like a lot of work, but it really isn’t. Once you have your router connected to a VPN server based in the US, you’ll be able to access blocked content. I recently purchased a fire stick. I want to get a vpn service but I will also need to purchase a router that will work with that service. I am also curious on how the vpn service will work on the fire stick when I travel with it since I will no longer have the ability to hook it to my router.